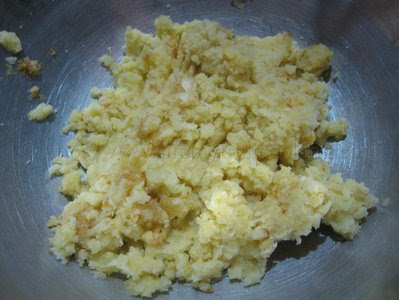 Here is another popular recipe in Trinidad and Tobago, potato choka. Amidst all the ole talk on facebook today and in between working on an upcoming recipe I still found the time to post a simple and totally delicious recipe. 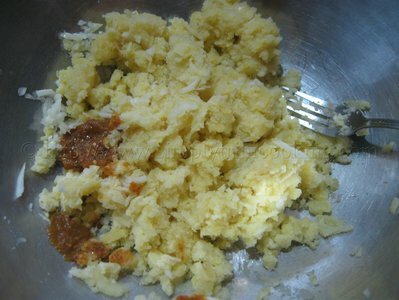 Potato choka is really simple and is filling. 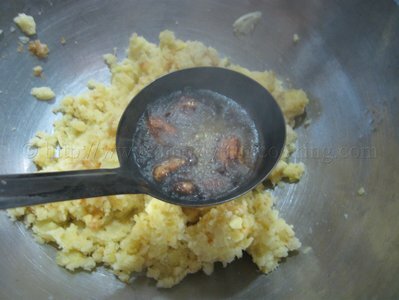 I like to have this with sada roti and a hot cup of cocoa tea either for breakfast or dinner. 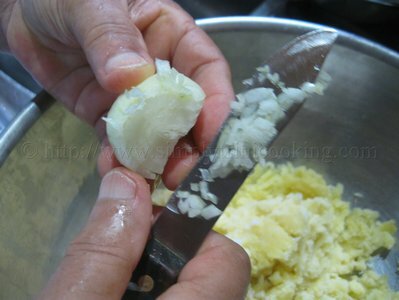 There are many types of provision or vegetables that can be prepared using this method of choka. 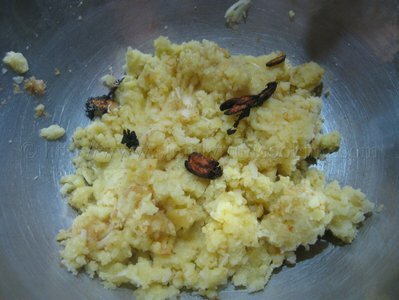 The method of choka reflects the Indian influences. Their are many types of choka. Some of the popular types are: potato choka, coconut choka, saltfish choka, smoke herring choka, eggplant (baigan) choka, and tomato choka. 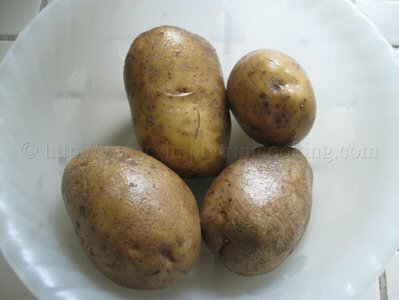 This post is all about potato choka. 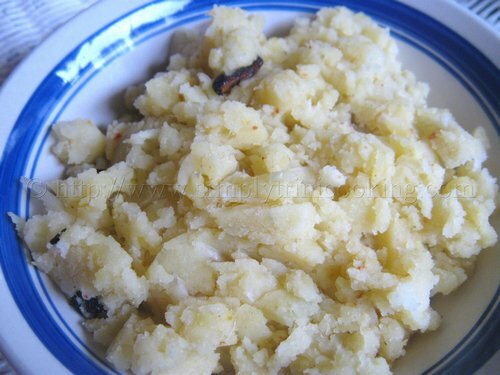 Here’s potato choka: simple and delicious. Enjoy! 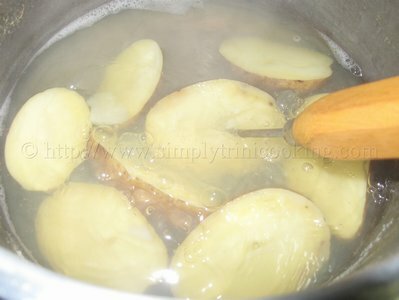 Wash and boil the potatoes. Test with an ice pick or knife. 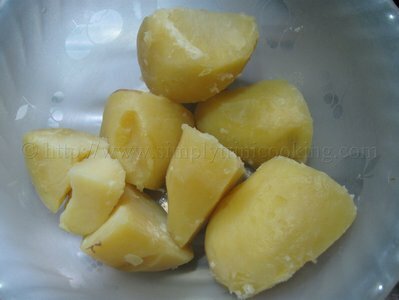 Note: You can boil the potatoes with a little salt added. 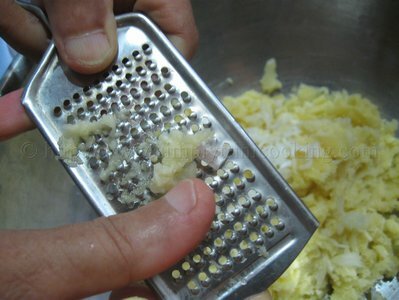 Grate two of the garlic cloves. Note: You could also use chopped raw pepper. and chongkay the potato choka. Mix well. 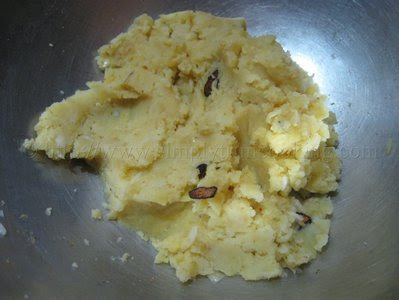 Serve with sada roti. See you soon with another Trini recipe. Don’t forget to leave your comments for this potato choka recipe in the comment box below. I am in Canada and these recipes have my mouth watering and my stomach bawling. Boy Felix yuh ain’t easy yuh real good at this. Hats off to you and thank you for all your beautiful recipes! I am going to try out the coconut chutney to go with some naan bread and curry lamb. Thanks again!